The history of Sunan Gunung Djati State Islamic University of Bandung cannot be separated from the history of IAIN (State Institute for Islamic Studies) SGD Bandung. 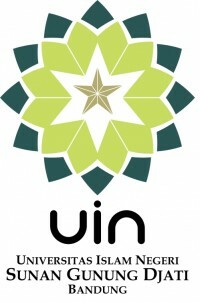 Sunan Gunung Djati State Islamic University of Bandung was formally established based on the Decree of the President of Republic of Indonesia Number 57/ 2005. Meanwhile, IAIN Sunan Gunung Djati Bandung was established on April 18th 1968/ 10 Muharram 1388 Hijriyah based on the Ministry of Religious Affairs (MORA) Regulation Number 56/1968. IAIN Sunan Gunung Djati Bandung existed as a result of the demand of Muslims prominent figures in West Java. The process began in 1967 when a number of respected figures, like Ulama and Muslim intellectuals such as K.H.A. Muiz, K.H.R. Sudja’i, and Arthata along with the consent of the Governor of West Java, took the initiative to form the Preparation Committee for IAIN. This committee was approved by the MORA Regulation Number 128/1967. Furthermore, under the MORA Regulation Number 56/1968, at the time of the establishment, IAIN Sunan Gunung Djati Bandung had only four faculties: (1) The Faculty of Islamic Laws; (2) The Faculty of Islamic Education; (3) The Faculty of Theology in Bandung, and (4) The Faculty of Islamic Education in Garut. The Faculties were located at Jalan Lengkong Kecil Number 5 Bandung.In 1973, IAIN moved to Jalan Tangkuban Perahu Number 14 Bandung. Since 1974, IAIN has been located on Jalan Cipadung 105 Bandung. Due to changes on the district division in 1970, The Faculty of Islamic Education in Bogor and The Faculty of Islamic Laws in Sukabumi which were initially branches of the IAIN Syarif Hidayatullah Jakarta, were integrated into IAIN Bandung. The same was true for the Faculty of Islamic Education in Cirebon which became a branch of the IAIN Sunan Gunung Djati Bandung on March 5th 1976.